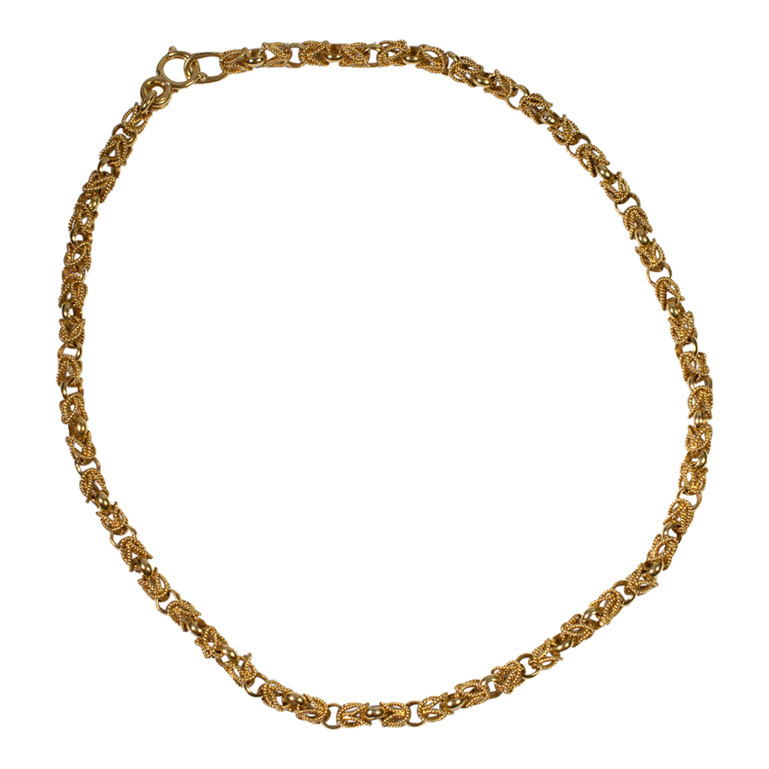 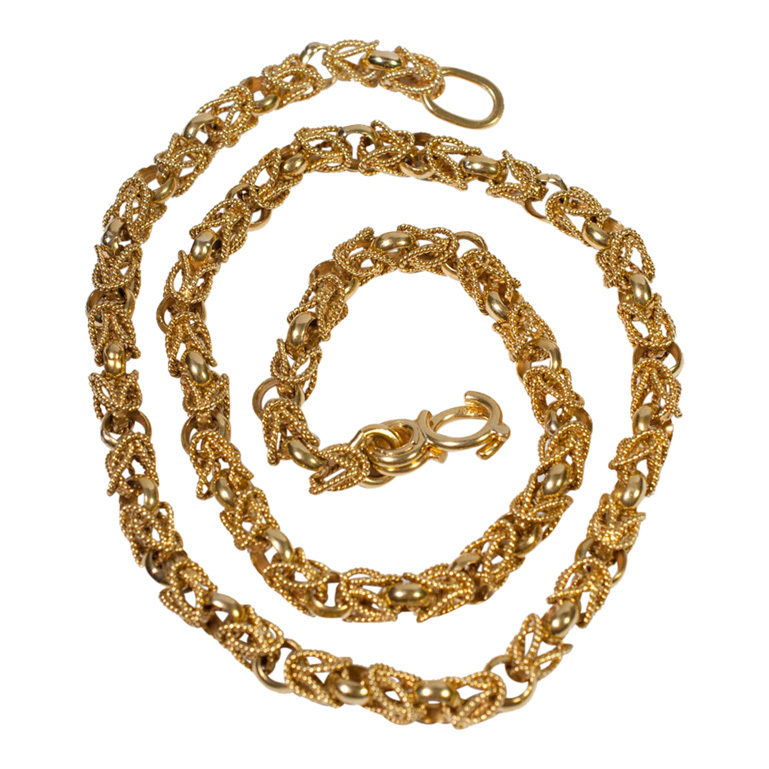 Heavy interlocking rope necklace in 18ct gold. 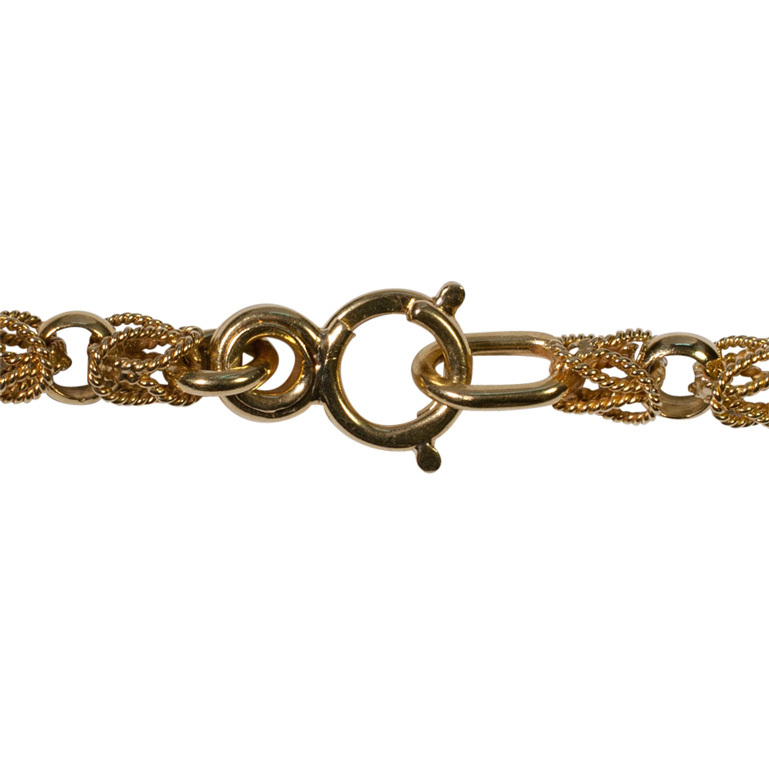 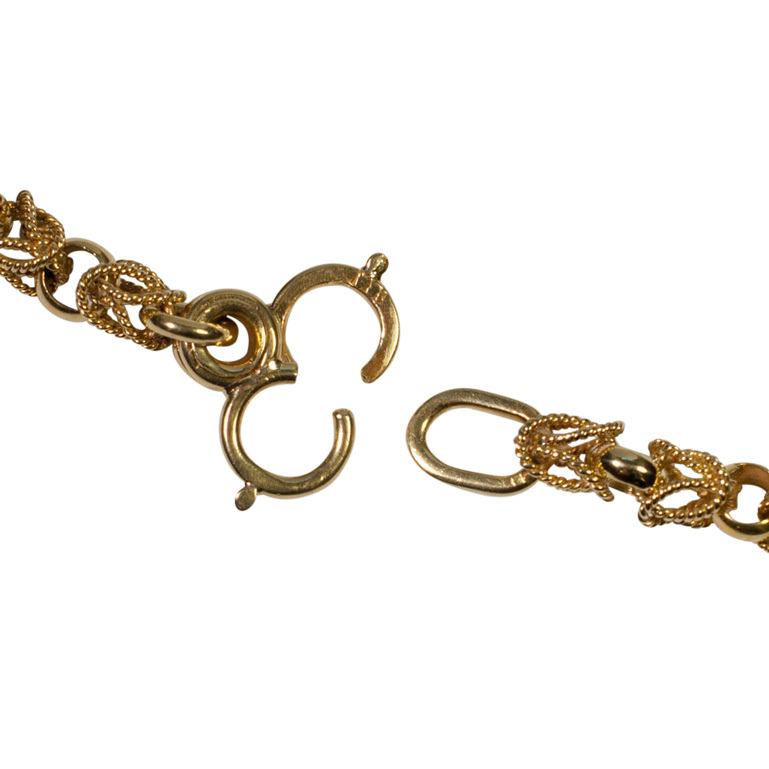 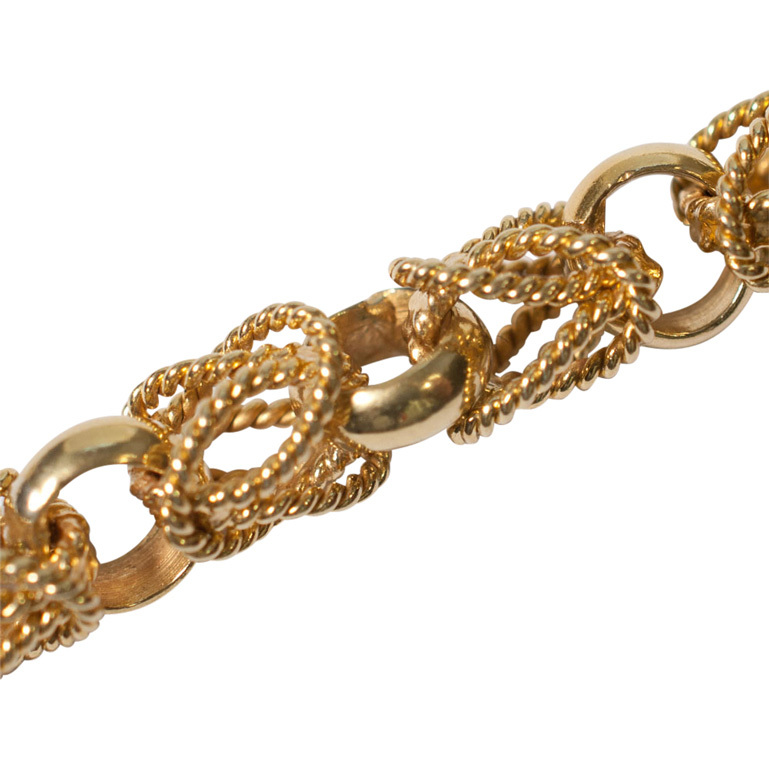 The clasp is formed of a “handcuff” which opens and closes and fits into a gold loop. 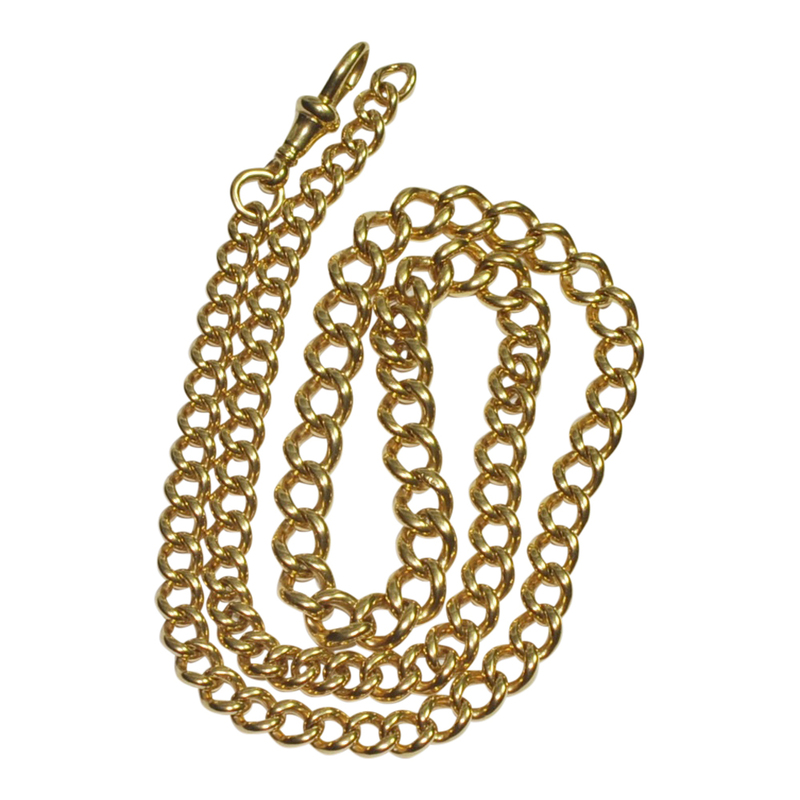 Weight 49.2gms; length 45cms. 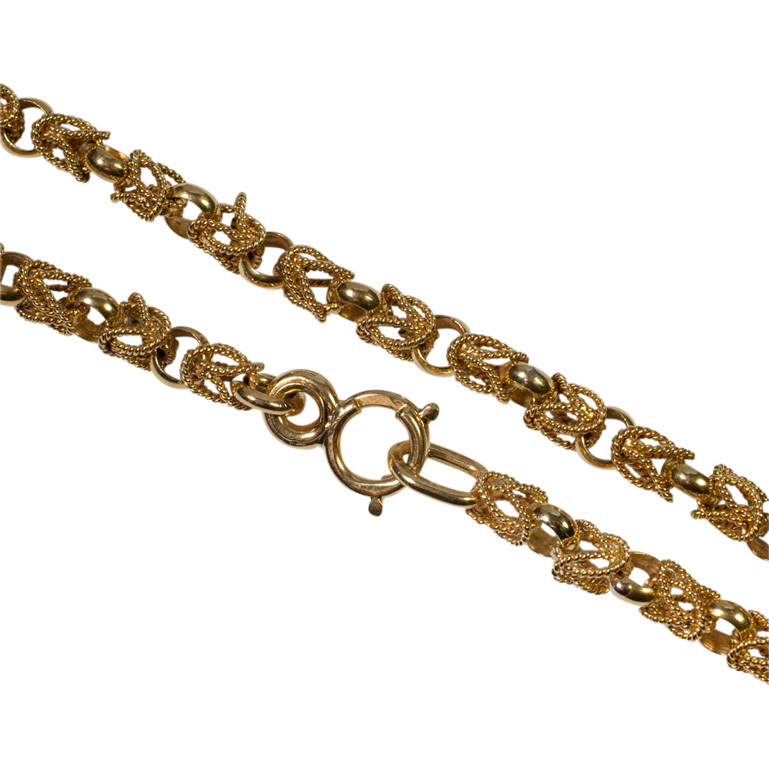 Stamped 18A and tested as 18ct gold. 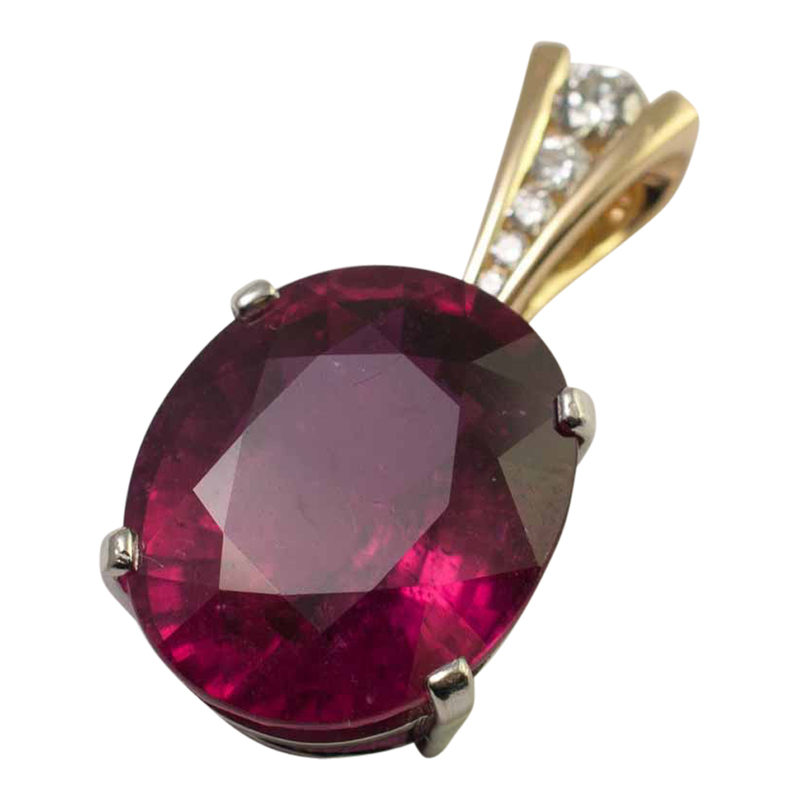 C.1960. 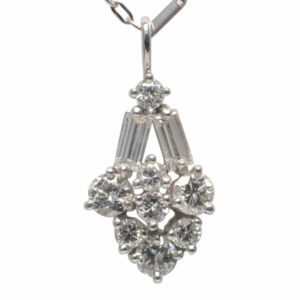 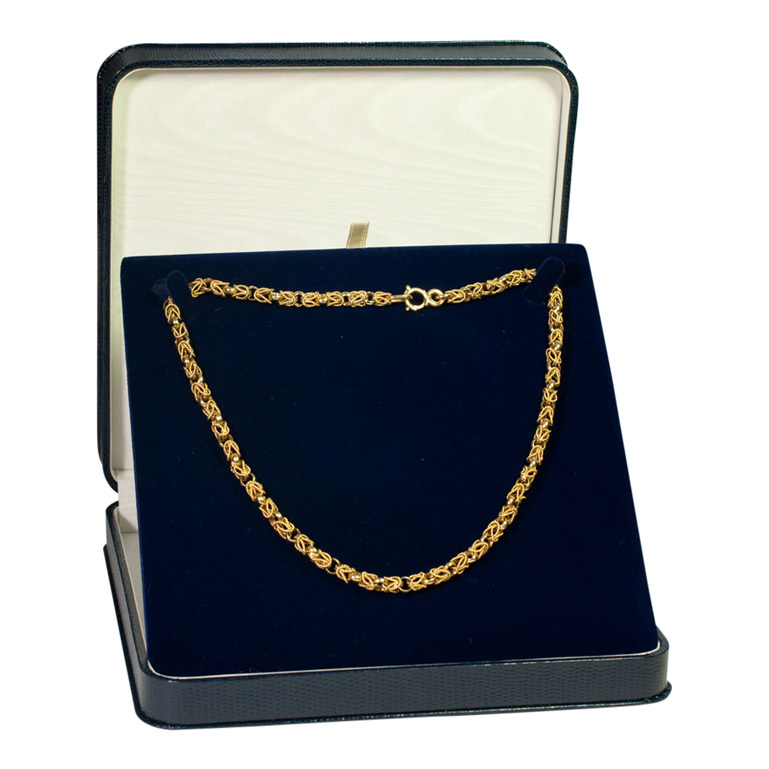 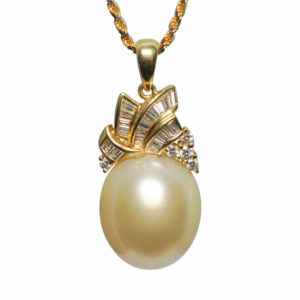 This is a beautifully crafted necklace in excellent condition.